If you have decided to execute an ad campaign for your website using Google’s Adwords program, then it is obvious that you are concerned with driving additional, relevant traffic to your website in an attempt to increase your revenues or simply grow an already existing community. Choosing the appropriate keywords when setting up your campaign can make the difference between wasted money and targeted success. Any keywords that are chosen must be optimized to attract traffic from key search segments, which are far more likely to attract valid traffic. We will discuss the main points of selecting the best keywords for a Google Adwords campaign so that you get your money’s worth. 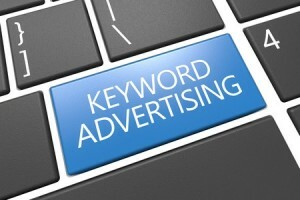 When deciding on keywords, it is a good idea to sit down and come up with some basic terms that summarize the business or website that you are advertising. From there, branch out and consider terms that would be valid to your site that fall under those categories. For example, if we were advertising an apparel site, one of the appropriate categories/search terms may be ‘shoes’, and from there, we would elaborate and come up with terms such as ‘wedding shoes’, ‘running shoes’, ‘hiking shoes’ and so forth. Most customers will search for terms that are not too broad nor too detailed; optimizing your Adwords campaign for ‘shoes’ will not yield the results you wish to see. The more branching out you do in regards to keyword exploration, the greater chance you have of finding your “sweet spot” in the search results. After coming up with some preliminary keyword options, begin to search these phrases and see what Adwords campaigns are showing up alongside the results. What better place to start when it comes to gaining traction in a certain search result than by analyzing those who are already doing it? You may be able to gain multiple types of knowledge about the direction of your website and advertising campaign by inspecting what ads the website is running, what products/selection they offer in addition to more ideas for potential keywords. In many cases, obscure products and links will appear on an established website; these are usually great keyword selections as you may discover the search field is barely existent. You can also have an advantage over the competition by using Pingler’s Keyword Suggestion Tool, which scans multiple search sources to display relevant search query alternatives to your original ideas. One method suggested by Google itself says that you should limit your Adwords campaign to operate on 5-20 keyword entries. Using broad type match makes it unnecessary to add plural or misspelled versions of a given keyword as duplicate entries, while using themes and keyword groups will help you more accurately and precisely market a product, page or service. Certain characters are not allowed in keyword selections, including @, %, ?, *, <>, (), and several others. Google’s Adwords Help page answers any and all questions about specific omissions, rules and other pieces of information that is crucial to running a successful ad campaign. In fact, I really want to promote my site on Adword but as I am just a simple and small-scale blogger, I have no such money to pay for Google, so the best way for me is to get to know more people and hope that they can come to visit my site once a while.